The Event Suites are the perfect setting to entertain a client, potential investor, or enjoy an evening out with friends and family. Suite catering will be available at an additional cost with specific menu options to be determined. Your suite will either be located on the Event Level or on the Premium Suite Level. 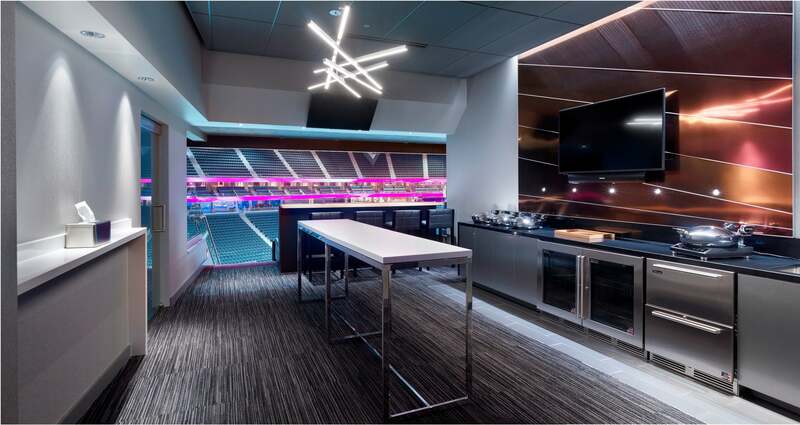 For a smaller group who want to enjoy the best sports that T-Mobile Arena has to offer the Terrace Tables have a dedicated semi-private area on the main concourse.